Harry Potter finishes at his Muggle Primary School, at the age of ten. Charlie Weasley and Nymphadora Tonks graduate from Hogwarts School of Witchcraft and Wizardry. A Wizardry Budget is leaked and makes Daily Prophet headlines. 23 June: For Dudley Dursley's eleventh birthday, his parents, cousin Harry Potter, and Piers Polkiss go to the zoo. Harry speaks Parseltongue for the first time to a boa constrictor. 24 July: Harry Potter receives his first Hogwarts letter. Vernon and Petunia Dursley burn it. 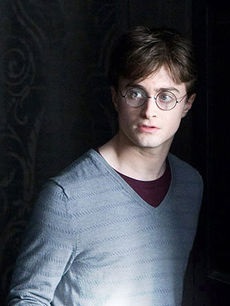 Harry's bedroom is moved from the Cupboard under the stairs to Dudley's second bedroom. 31 July: Quirinus Quirrell breaks into Gringotts Wizarding Bank, but fails to steal the Philosopher's Stone. Harry, on his eleventh birthday, goes to Diagon Alley for the first time with Rubeus Hagrid. 1 September: Harry Potter and his classmates – including Ron Weasley, Hermione Granger, Neville Longbottom, and Draco Malfoy – begin at Hogwarts. 12 September: Harry Potter becomes the youngest Seeker in a century for the Gryffindor Quidditch team. Harry plays his first Quidditch match. 25 December: Harry receives his late father's Invisibility Cloak from Albus Dumbledore as a Christmas present. He also finds the Mirror of Erised and sees his family for the first time. Harry Potter begins his magical education at Hogwarts School of Witchcraft and Wizardry. 17 February: Bonnie Wright, the actress who portrays Ginny Weasley in the Harry Potter films, is born. April 21: Frank Dillane, the actor who portrays young Tom Riddle in the film adaptation of Harry Potter and the Half-Blood Prince, is born. 16 August: Evanna Lynch, the actress who portrays Luna Lovegood in the Harry Potter films, is born. 18 October: Toby Regbo, the actor who portrays a Young Albus Dumbledore in the Harry Potter films is born. 13 January: Genevieve Gaunt, the actress who portrays Pansy Parkinson in the film adaptation of Harry Potter and the Prisoner of Azkaban, is born. This page was last edited on 9 August 2015, at 12:26. This text is available under the GNU FDL and may have been adapted from the Wikipedia article about 1991 (history).